Here’s my piece- the mini disc tassel bracelet! Just gorgeous for a spring addition to your wardrobe. 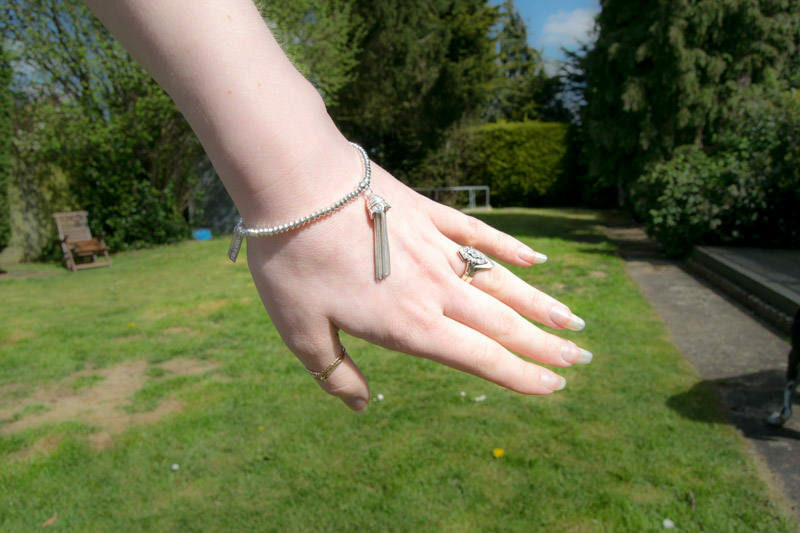 It will brighten up your wrist and make you want to show it off so I recommend wearing cap or short sleeve tops and dresses. 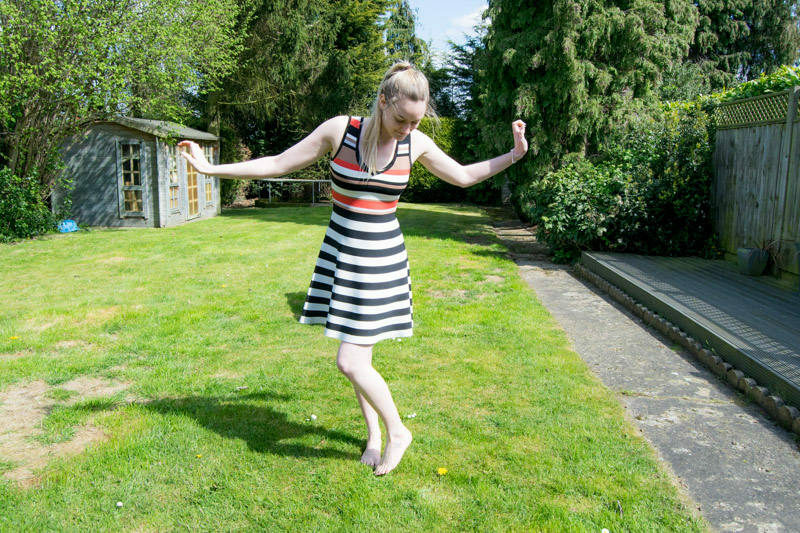 I decided to wear a Karen Millen dress with the bracelet but I dressed it down boho style and went barefoot in the garden. Time for a final spin to show off the flare of the skirt. 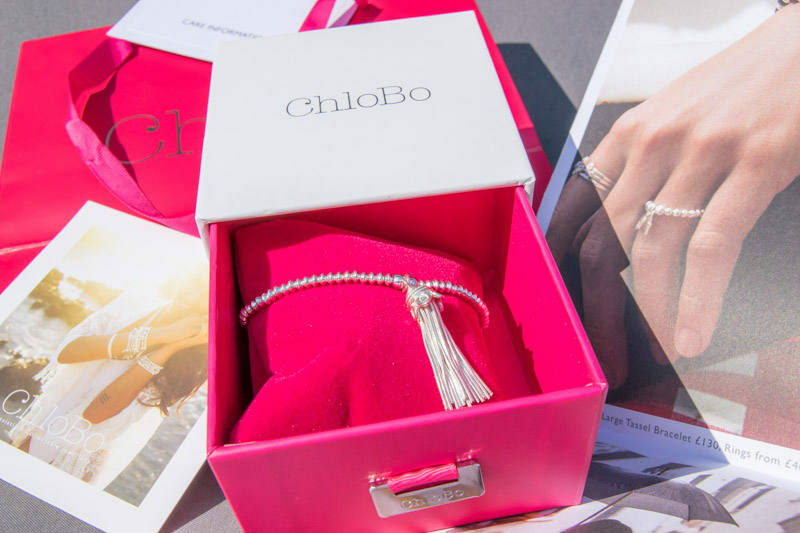 The ChloBo bracelet is so perfect to wear with something dressy as well as waiting for the festival months to come around when it would go great with a lace top and shorts. My vibe for this month is definitely stripes! 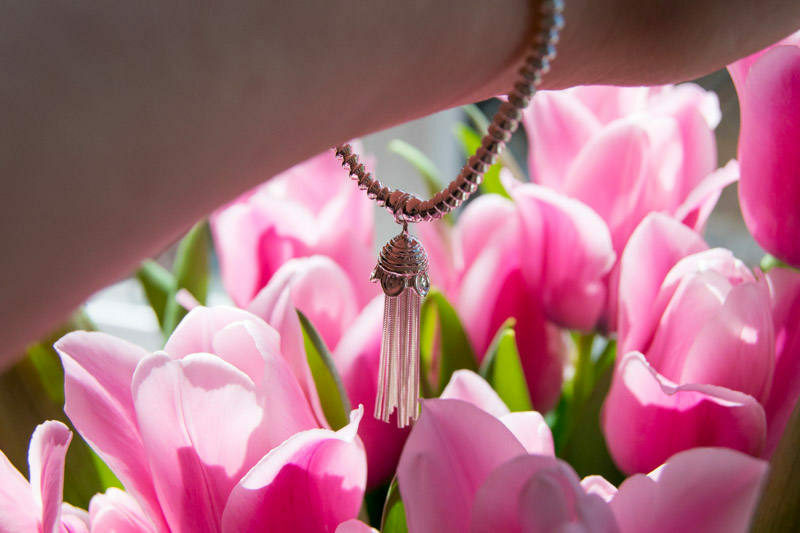 What do you think of the tassel bracelet? 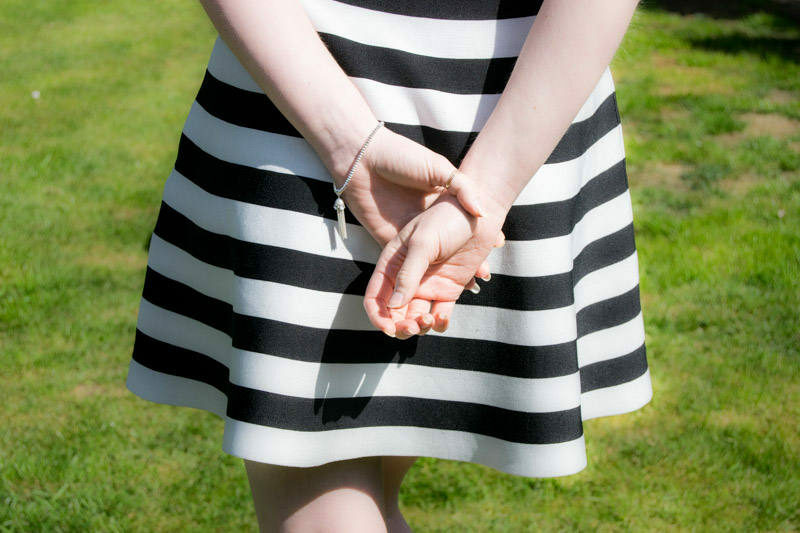 Would you have worn something completely different? 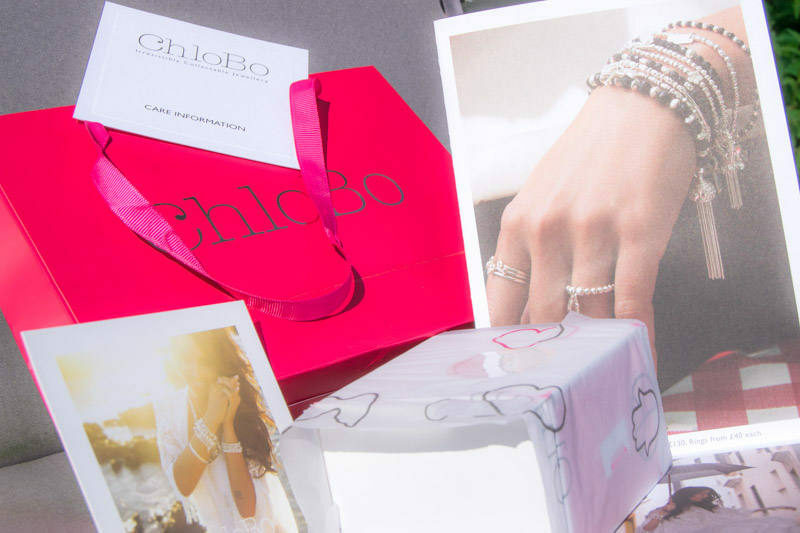 Let me know in the comments below, and head to the ChloBo website to see more of their iconic bracelets, charms and rings. 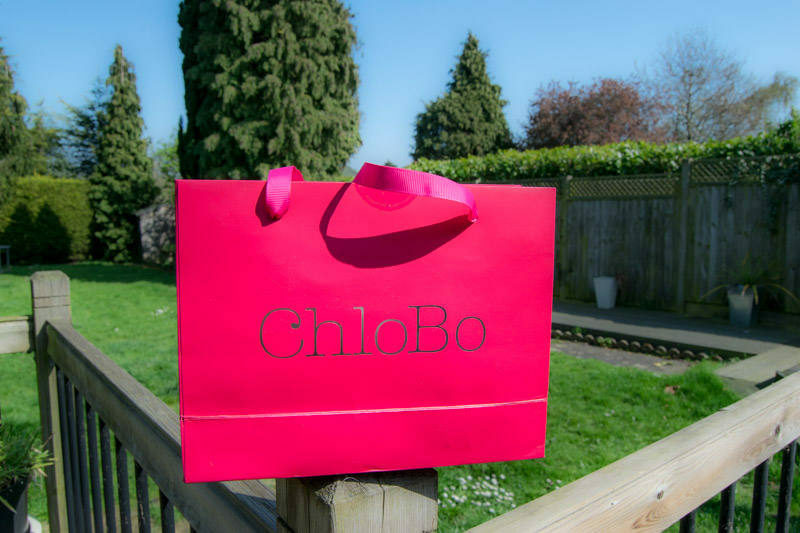 Thanks for reading my piece on celebrating ChloBo in the sunshine. Check out my lastest London post all about why I hate the colour pink!